Over 1,000,000 New Fashions Created in the Last 2 Weeks! The tween members of Girlsense.com have been working overtime creating, designing and expressing themselves through fashion. We are always excited to see the outstanding results of our members' creativity when they are given the chance to express themselves. 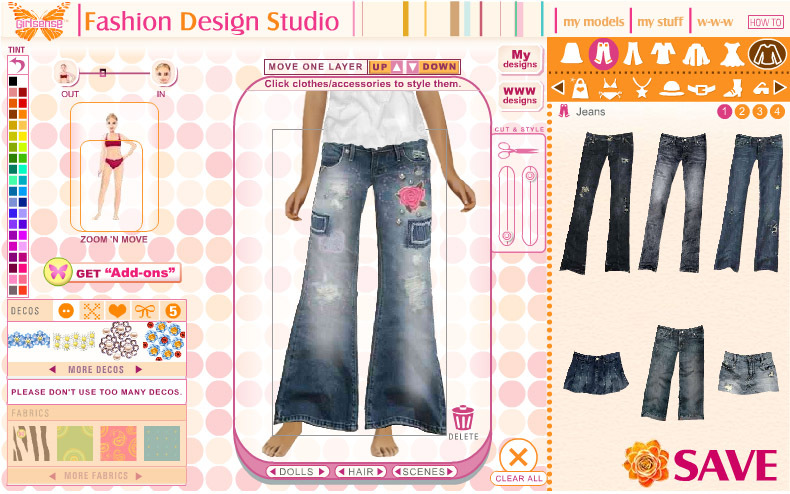 We can't wait to see what they create using the new designer jeans! 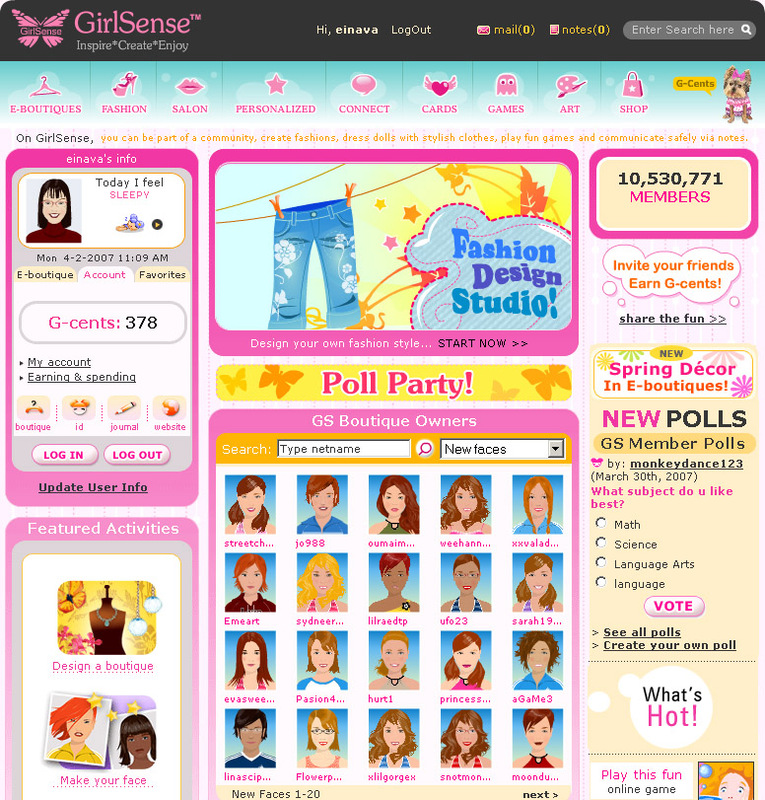 Girlsense.com (http://www.girlsense.com) has become so popular since its re-launch last month as a free ad-based website that original fashion designs created by members have reached an all time high. 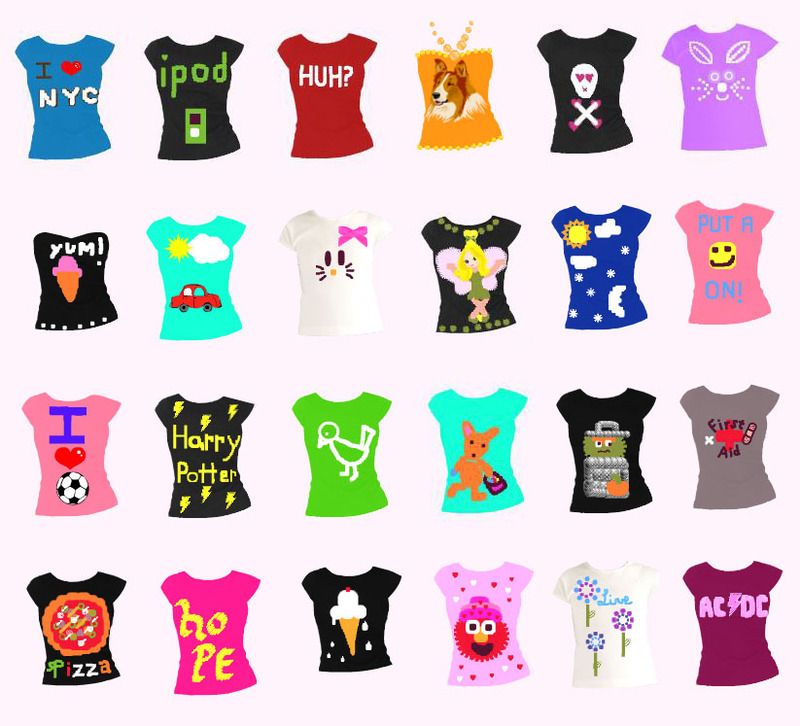 The highly-promoted spring tees resulted in amazing creations, with users designing their own branded characters and fashion lines. And now, GirlSense members are styling their own designer jeans. "We are always excited to see the outstanding results of our members' creativity when they are given the chance to express themselves. We can't wait to see what they create using the new designer jeans!" said Cathy Glazer, CEO of StarNet Interactive. 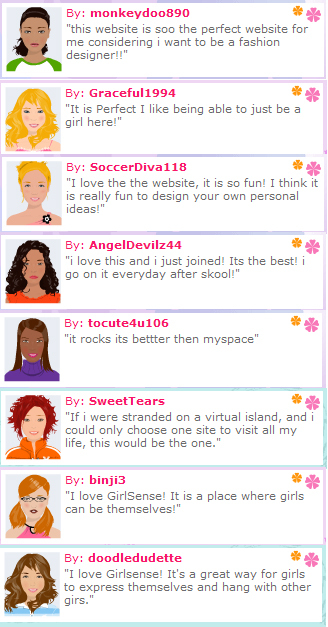 At the heart of GirlSense™ is an active virtual fashion community that offers users a genuine web 2.0 experience that is truly safe. Girls can design their own trendy fashions, display them in original boutiques and "sell" them to their peers using the site's virtual currency or G-cents. Tweens can also develop their entrepreneurial skills on the site by designing banners and slogans and buying ad space on which to promote their boutiques. GirlSense™ further encourages a spirit of community by allowing members to communicate safely with each other using pre-written or monitored notes and message boards. Members use these outlets to share styling ideas, comment on each others boutiques or even place orders for clothes! 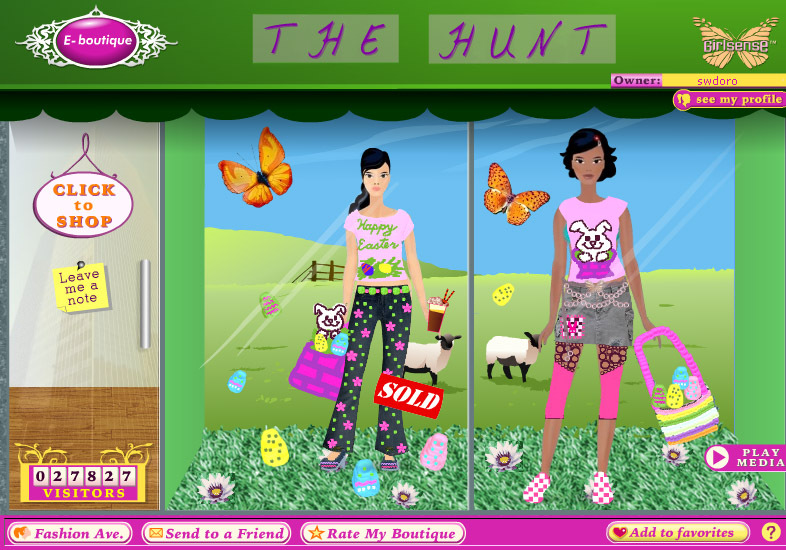 "this website is soo the perfect website for me considering i want to be a fashion designer!!" "I love the website, it is so fun! I think it is really fun to design your own personal ideas!" "it rocks its bettter then myspace"
"If i were stranded on a virtual island, and i could only choose one site to visit all my life, this would be the one." Not only has the site become a favorite among tween fashionistas, but parents love it too because the site is 100% COPPA-compliant. Girlsense staff review every note, posting and message to ensure that all the content is age-appropriate and does not compromise the safety or privacy of its young users.